Toastmasters Leadership Institute is the largest training event of phase 2. We sell out every time so don't wait. 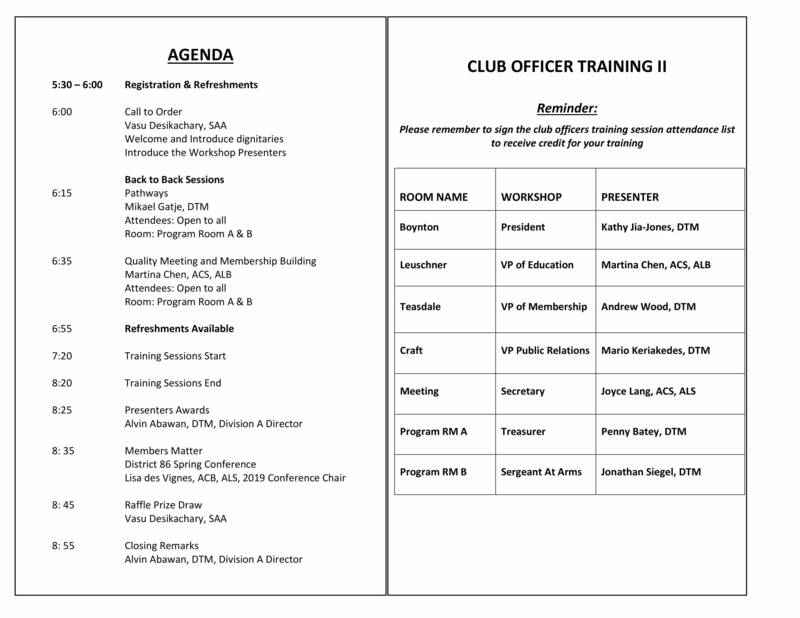 The day includes 2 rounds of club officer training breakouts, club enhancement workshops, A draw for Club officers. There are 6 prizes to be won. You must be present to claim your prize and more. Do not miss this event! It is designed for your success. Cost recovery includes lunch and refreshments. Click here to sign up for the training. When club officers are well-trained to perform their duties, club members are better served. When club officers are well trained to perform their duties, club members are better served. This makes the member experience more positive, which leads to increased member retention. A win win for all. Sign up now on eventbrite and enjoy a full day of learning, networking and great inspiration! When club officers are well trained to perform their duties, club members are better served. This makes the member experience more positive, which leads to increased member retention. A minimum of four club officers trained during each of the two training periods. Your club achieves Goal 9 when at least four of its club officers are trained. Division M hosts another fabulous Club Officer Training! This training provides an opportunity for sharing best practices, getting help and inspiration as well as much-requested Judges Training. Judges training helps you run a better club or area contest - all are welcome at this training. It is fine for you to choose any official club officer training. Our training is closest to clubs in Division M. Perhaps you need to choose a training farther away, scheduled for a different date. Whichever training you attend, participate in the breakout session for your role, and sign the sign-in page with your name, club name, your area, and your district (District 86). What were you doing 60 years ago? Forest City Toastmasters was creating competent leaders and speakers!